As a spectrum condition, ADHD affects everyone differently. 10-year-old Marcus Wilton's account brings the reality of living with the condition to life. 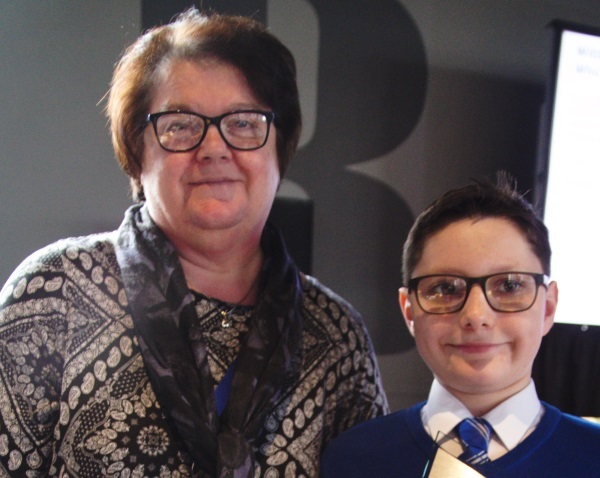 Marcus and his grandmother at the ADHD Foundation conference, where Marcus was awarded a trophy for his contribution to raising public awareness of ADHD and comorbid conditions. My special birthdate is 07.07.07. Grandma said it could have been worse... it could have been 6.6.6! I have a great sense of humour and love telling jokes. Like this. I have a really good memory for facts. I am really good with computers. I love all kinds of music. I also have a puppy called Cocoa. It will take about another year or so for him to be fully trained but we are learning together. What do I need help with? Having ADHD and autism means my brain is wired differently; a good analogy is that it’s like being a PC in an Apple shop. I see the world in a different way and some people don’t understand that. Sometimes on bad days, I think I don’t want to be this boy any more. Some of the things I need help with are listed below, and include difficulty making and keeping friends. I get anxious in certain situations and this can affect my behaviour. I definitely find it hard to listen when deep down I know I need to. I have sensory issues – some clothes don’t feel right, and strong smells and tastes make me uncomfortable. I also don’t like loud noises… unless of course I’m the one making them! Some of the things Marcus needs help with. How does ADHD affect me? ADHD and ASD affect people differently, but for me it's like I'm living with a brain that races past everything, yet I know I'm expected to notice the important things. It feels like I’m living in a room with loads of TVs with the volume low, all playing different channels. In that room are also lots of people having six different conversations at the same time. The dog’s running around with his toys barking. Someone is trying to get my attention and gets upset because I can’t filter out the instruction from all the other noise and activity in that room called my brain. I’m juggling hundreds of ideas, feelings and thoughts constantly, which often means I can’t concentrate on other things, especially conversations, listening, following instructions and just focusing on what I need to. It’s exhausting when you feel like you’re switched on all the time just to be able keep up with the world. When you have more than one thing going on alongside ADHD, it’s hard to get the right medication, so I have tried lots of different ones over the last few years. My ADHD nurse has worked hard for a long time to get the right medication for me. I had a lot of side effects from some I tried. Some made me sick, some made me sad, and some didn’t work at all. Eventually, after trying loads of different ones, I now have a mixture that works for me and helps me to focus better in the day. There are still some side effects but the positives outweigh the negatives at the minute, and I know without them I wouldn’t be doing so well at school. I started nursery like most kids at three, not that I remember much about it except being moved from one nursery to another and eventually moving into a regular primary school just after my fourth birthday. Right from the start, I struggled in a class of 30 other kids. 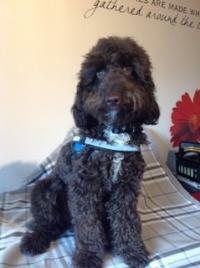 Even with one-to-one support and a shedful of meds, I had the concentration of a gnat. No one really understood why I was so distracted, why I struggled to do what was expected of us in class. The ones I found hardest to do were sitting quietly, concentrating, getting on with work and not shouting out. It didn’t help when teachers and teaching assistants said: ‘This is easy for you Marcus, you’re bright. Just get on with it.’ It was easier to be the class clown. Then I would be taken out and given my own workspace. To me that was a result! The school was great and tried really hard to help me, but towards the end of Year 4, after I managed to get into the school admin system and removed the special programs I hated doing in the afternoon… and later changed the password on all the iPads and wouldn’t give it up… the head, my grandma and the local authority decided I needed a more ‘nurturing environment’. Rossendale is a special school with really small classes. There are only four other children in my class with a teacher and a teaching assistant. This means they have more time to support me. It’s not as noisy and as busy as mainstream schools. This helps me to concentrate better and complete more work. I’m not different any more either. There are loads of other individual Marcus’s. I’ve been there just over a year now and although it took a while for me to settle, I really like it there and know it’s the right place for me. So much so that on presentation day this year I received the award for the most improved pupil. After all that, I want to tell you that there’s also a great side to having ADHD. I think about it as my superpower. I have loads of energy and don’t need a lot of sleep. I’m not sure that at five o’clock in the morning everyone in my house would agree with that being one of my finest superpowers, but hey ho! I have a really good memory, which means I find learning easy… but only when I’m interested in a subject of course. My head is full of hundreds of interesting facts. Like this. What’s the smallest ocean in the world? Answer, the Arctic Sea. Not many people know that! I have really good communication skills. I’m funny and I’m really good at music, computers and quizzes like Countdown and The Chase. I also get to do really cool stuff like speaking at conferences. In my old school there was no one like me. 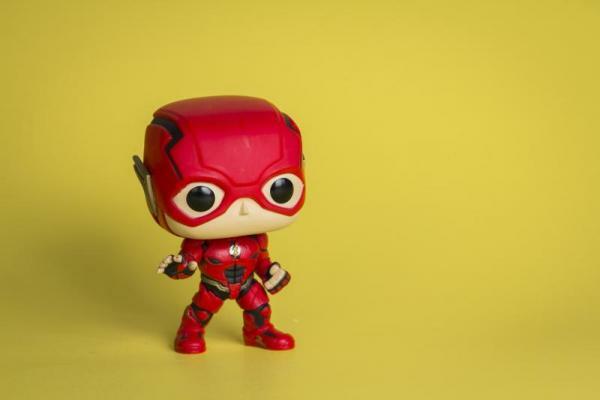 They called me The Flash because I was always running around, so I used it as my alter-ego superhero. I was different, I stood out by a mile and I liked being different. That difference makes us individuals and brings out our talents and gifts. We make great actors like Emma Watson and Daniel Radcliffe, great sports stars like Louis Smith, great comedians like Rory Bremner. I just can’t wait to discover what my special talent will be when I grow up. So what’s there not to love about ADHD and being a super hero? Difference makes us individuals and brings out our talents and gifts. I wanted to finish with something that I think sums me up, and I found this. that I want to be. from who I used to be. what I know I can be! Extracts from a presentation that earned Marcus a standing ovation at the ADHD Foundation’s annual conference, November 2017. 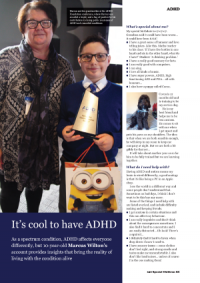 This article originally appeared in issue 240 of Special Children magazine. What can schools do to help young people thrive?